We had a fantastic week in Paris; I think what made it work so well is that I put a lot of time into planning the best way to structure our days. This meant that we could minimise backtracking and not turn up at museums on the days there were closed! Read on to see what worked for us and how much you can realistically fit into your days! Day 6 – Wednesday – Museums and views. We arrived in Paris at Gare Du Nord, and the first task was to purchase our first carnet of metro tickets. While I have almost no French language skills at all, I did manage to memorise this phrase and felt so pleased with myself when I was handed the tickets without any hesitation. I am sure my accent was atrocious, but the ticket seller was polite enough not to raise even an eyelid. Tickets in hand we headed to the apartment by metro. It was easy enough as it was mid-morning and out of peak time but I am not sure I would have wanted to navigate the metro after a long flight. As we had only travelled from Amsterdam, it was doable for us however I was not really expecting the number of stairs we encountered. It seems the metro has not been retrofitted with lifts at many stations. Tip: If you can’t easily carry your bag up a couple of flights of stairs don’t take it on the metro! We picked up the keys to our apartment and quickly checked out our new home for the next week. It was just a 5-minute walk from Filles du Calvaire metro, and we found this a good location, it felt very local, and we could spend a week pretending we were staying forever! 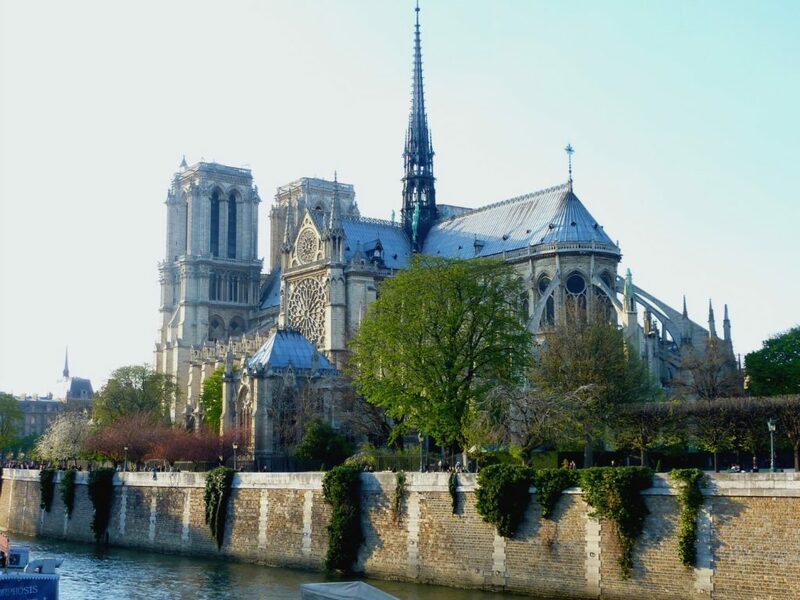 We were keen to get out exploring so decided to walk to Notre Dame, Pont Neuf and the Seine. Three hours later our feet decided it was time to head home. But not before one of my favourite travel chores – exploring the local supermarket and buying provisions for our week. We decided to buy breakfast supplies so we could eat at home each day to save money… don’t worry we managed coffee and pastry for morning tea. 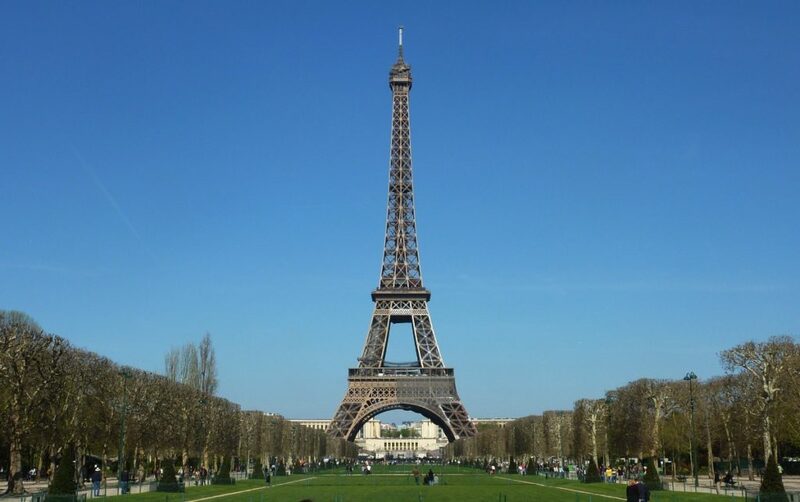 In my research, I had read several people say that approaching the Tour Effiel from the green lawns of Parc du Champs de Mars gave the most impressive view. We decided to follow this advice and caught the metro to École Militaire station nice and early so we could make the most of the beautiful sunny day we had woken to. I agree, if you can this is the way to do it! Bring a picnic breakfast and take in the view with a croissant and café. The sun had brought with it some pretty crazy queues to go up the tower, so we decided to put this off and headed to Trocadéro. From here we took in the view from the opposite side of the Tour before following our noses to the Arc Du Triumph and our long-awaited window shopping along the Champs Elysees. I am not one for designer shops, but my daughter managed to convince us to poke about inside Louis Vitton and a few other big name stories. Even if you are not interested in shopping these stores are beautiful. 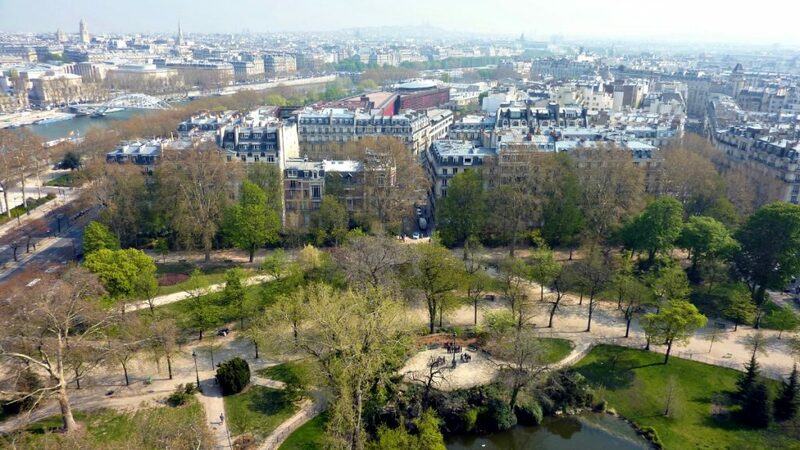 From here we strolled to the Jardin des Tuileries and a look around the outside of the Louvre then more window shopping along Rue de Rivoli and back to our apartment via the beautiful Place des Vosges, my favourite small park in Paris. Another 10km day and it was only 2 pm! This time the feet really hurt! The rest of the day was spent catching up with a homestay student we had hosted and his family. They brought us a lovely basket of food and drink that lasted the rest of the week. We shared a memorable dinner at a bistro in Bastille where we met the funniest, and possibly most irritating waiter in France. While we had considered leaving Versailles off our itinerary due to the limited time we had in Paris we were so glad we went. A favourite of our 12-year-old daughter and equally enjoyed by us this UNESCO site is worth making an effort to see. 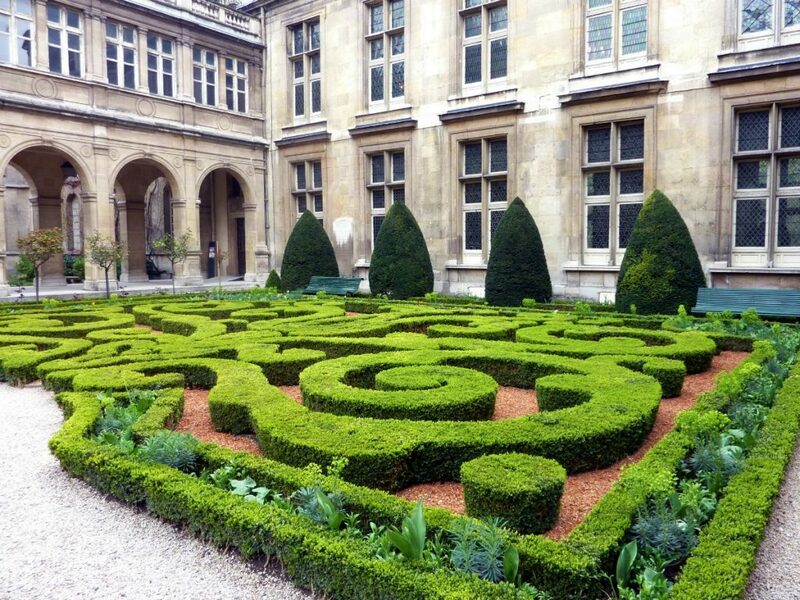 The Hall of Mirrors and the stunning gardens are highlights that should not be missed. The Palace is open 9 am to 5 pm year round except on Mondays. The gardens are open every day and open an hour earlier than the Palace, so if you are early risers, this is a good way to get a head start on your itinerary. I would also recommend buying your tickets online. We didn’t and lost the best part of an hour in line. We left Paris just after 9 am and spent the best part of the day here and still did not see everything. I suggest you have a game plan if you have things that you really want to see. We were happy just wandering around the gardens on arrival and left the inside to explore when the afternoon fountain show started and the main crowds cleared out of the palace. This turned out to be a good move. 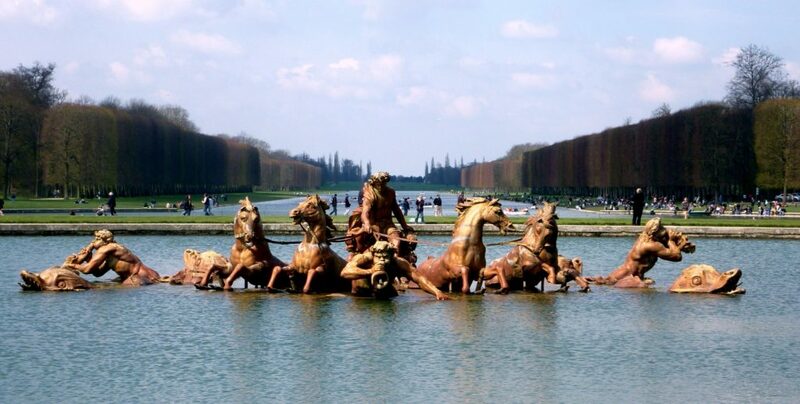 We took the RER train to Versailles-Château – Rive Gauche. You can follow the instructions on the Paris by Train website. From the station, it was an easy 10-minute walk to the Palace gates. Getting to the Palace is relatively easy, and I don’t think you need to join a tour to get here. Tip: Going on the weekend meant we got to see the fountain show. Check the official site for fountain show times as, during some parts of the year, there are mid-week shows. The fountain shows do bring bigger crowds, but I feel that it is well worth it. Make sure you download the audio guide, so you don’t have to line up for one of the free guides. Many museums in Paris are closed on Mondays, so this is a good day to explore the streets. After a huge day at Versailles, we decided we had earned a late start and did not get moving until 10 am. 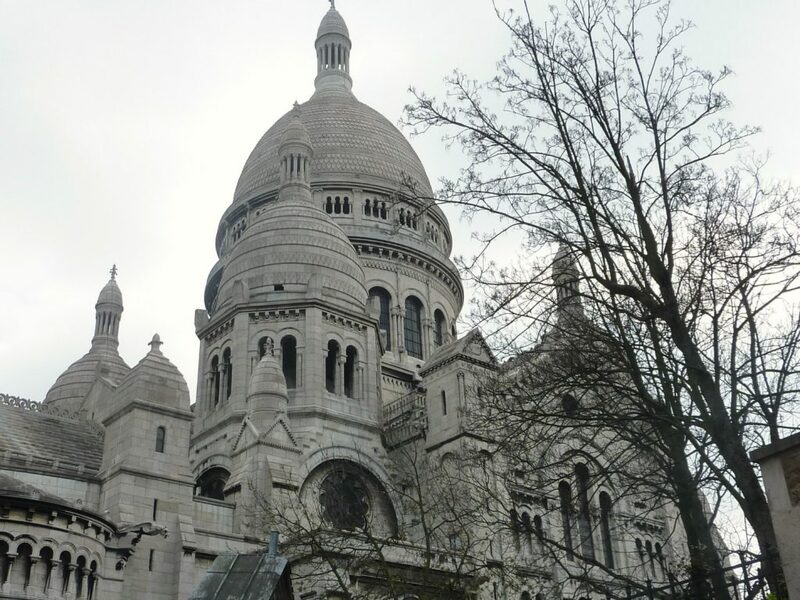 Today was our day to explore Montmartre. We took the metro to Lamarck – Caulaincourt at the advice of a local friend so our walk would be downhill all day. Along the way, my camera went a little crazy snapping off cute street scenes 10 to the dozen. I put together a walk of over 20 “Instagram” type stops which you will find on this google map. After we had snapped more photos than we will ever have time to share we decided some shopping was in order and headed to Galleries Lafayette via the Palais Garnier (Paris National Opera) and the Concorde and back to the Les Halles shopping street and then walked home. We ended the day at 10km walking and sore feet but a very enjoyable day. We collapsed into bed just after dark. Tip: Check the opening hours of all Paris museums on this site and if you love museums as much as we do plan your days around these schedules. We had our free Paris Greeter walk today and it was brilliant. When you request a greet they ask you what area you would like to explore. 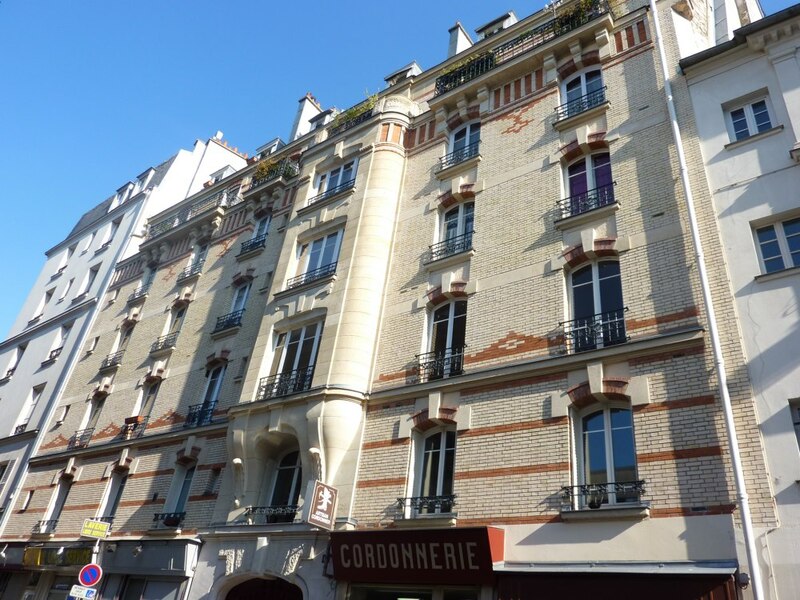 We had suggested a tour of the Marais as we were staying in this part of the city. Our guide was a retired gentleman with perfect English. He took us to private courtyards, the local market, and so many places we would never have found alone. We also did a walk through the Ile de la Cité and a little of the Latin Quater. Our 2-hour walk stretched to a little over 3 hours but it was fantastic. After the tour, we decided to buy a 2-day Museum Pass – even though we would effectively have only 1.5 days use there was time to see the highlights of 3 museums today so it seemed good value. 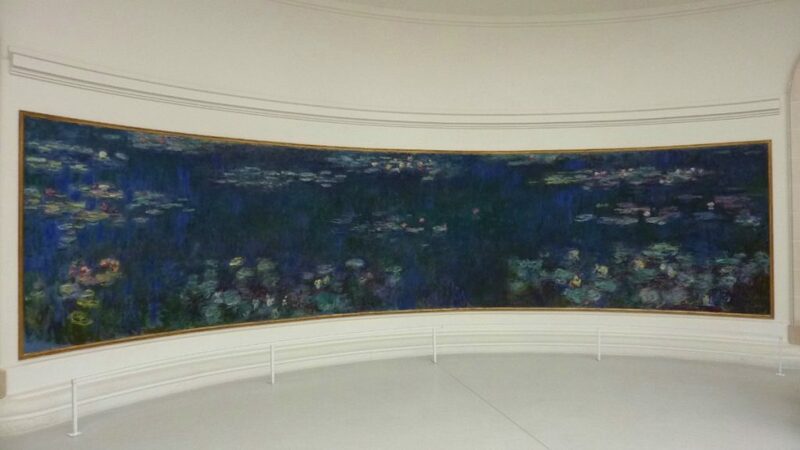 We purchased the pass at the Musee de l’Orangerie and then visited the Musée d’Orsay before making it to the Arch Dr Triumph for sunset. After spending almost 2 hours on top of the arc we wandered to the Eiffel because we had not seen it in the dark yet. We fell into our seats at Cafe Le Dome, for an overpriced tourist meal but it was almost 10 pm and we were starving. Our 15 Euro steak, chips and wine meal was more than adequate, but the service was terrible. It didn’t matter; we could see the lights on the Eiffel, so we were happy. Today we had to pack in all the things we had left out that we decided we simply could not miss. First stop the Tour Eiffel as we all decided we did want to go up. Of course, the roads were all blocked due to a protest and we ended up having to walk to the bridge past the tour and back along but that turned out to be lucky because it is where I got that great shot at the top of the page. After our visit, we headed to Rue Cler the famous street Rick Steves always goes on about. I was highly disappointed here and felt it a waste of time. We had seen much better markets around Bastille and the Marais. 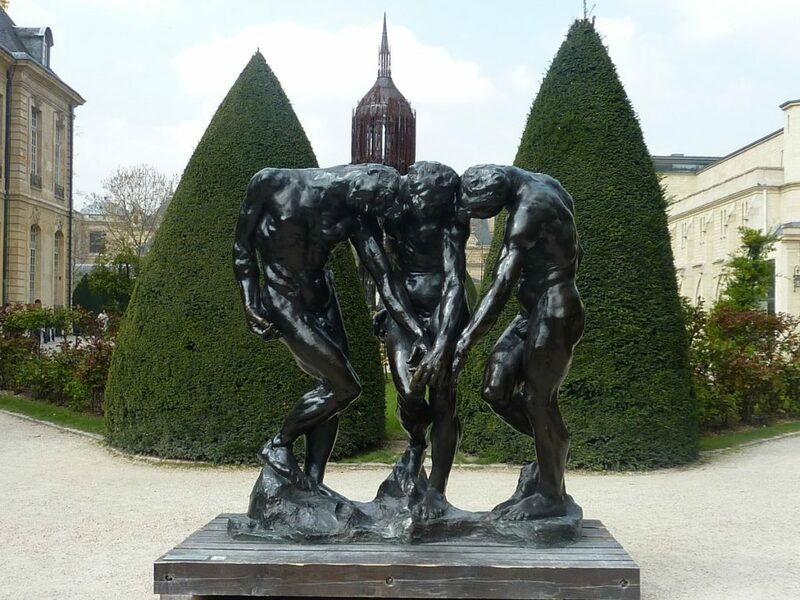 From here it was on to the Rodin museum. I loved the gardens here and highly recommend them. We then had the biggie, the Louvre, to face and we were disappointed. Perhaps because we were tired or we had seen so many beautiful things already I am not sure. It was the only thing that underwhelmed us in our whole time in Paris. We finished the day with a visit to Saint Chapelle and its beautiful stained glass windows. We were also lucky enough to find a charming and reasonable Bistro for our last meal in Paris, and it was by far our best meal of the trip. We arrived at Gare Du Nord at 9 am to find enormous queues owning to the fact that a volcano in Iceland had erupted. We had been too busy to watch TV news and knew nothing of it. We just made our train and were very lucky to get to London. We were on one of the last trains that were not overbooked. We are currently planning our next trip to France inspired by this article on visiting Lyon. Keep your eye out for our new Paris street art post coming soon. Have you been to Paris? Do you have a favourite spot we have missed?